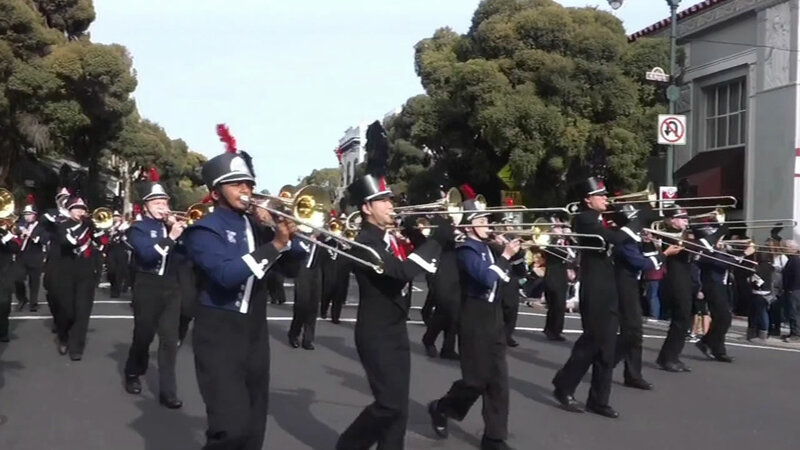 SARATOGA, Calif. (KGO) -- More than 200 members of the Saratoga High School Marching Band will represent the Bay Area on New Year's Day in the 127th Tournament of Roses Parade in Pasadena. Band members were loading onto a bus headed for Southern California Monday morning. It's the first time in school history that it's marching band will take part in the parade. They will be watched by 57 million people around the globe. "I'm super excited. Like, this is the biggest parade I'm ever going to be marching in cause we have the Los Gatos Day Parade but it's nothing compared to this. So I'm super excited," flute player Gina Drapal said. The Saratoga High School Marching Band will be the 65th group to perform. ABC7 News viewer Michael Boitz from Saratoga High School shared this story with us. You can watch the Tournament of Roses Parade starting at 8 a.m. Friday on ABC7.